Rick Cannon, a volunteer with the Blue Devils since the 1980s, sent this picture. This photo was taken at one of the many schools where the Blue Devils had to mark the yard-lines and hashes on the field before practice. 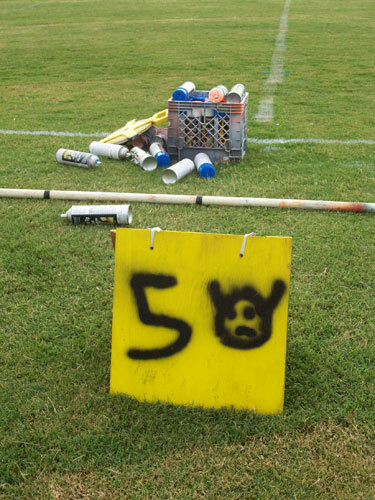 During the summer many field paint cans are used each rehearsal to accomplish this task.